At Yard Barber Lawn Service LLC, providing the best service to Buffalo, NY Kenmore, Parts of Cheektowaga, Tonawanda, Amherst and Williamsville NY is our goal. 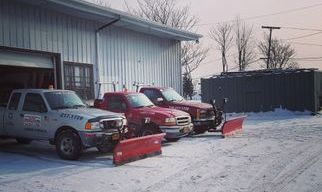 Our team of experienced snow plow drivers and snow blowing teams are on call during any snowstorm or regular snow fall and are quick to act on the winter weather. From snow shoveling/ blowing sidewalks to plowing parking lots plowing/snow blowing driveways, our services can benefit residential and commercial customers affected by a winter storm or regular snow fall. 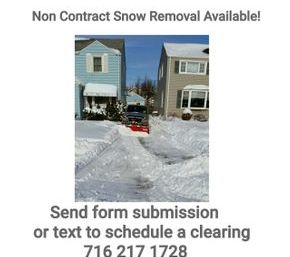 Because most Home owners and Landlords look at snow plowing as an occasional nuisance and not a daily maintenance issue, little time, if any, is allocated to finding the best way to manage snow removal. That’s what we do! Worried if our plows wont fit in your narrow driveway? No worries we have taken the concerns of many and have invested in a 6X6 ft plow that will fit perfectly in your driveway. Don't want a plow plowing your driveway? 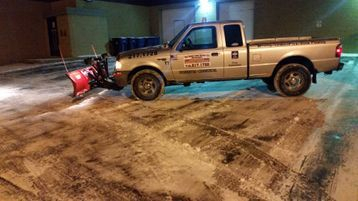 No problem we also have reliable snow blowers to get the job done. Our snow management network services everything from corner lots, rental properties, small apartment complex's commercial to residential. 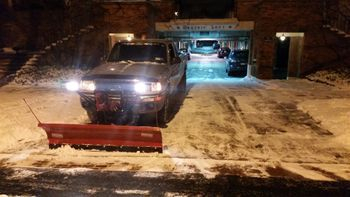 Yard Barber Lawn Service LLC goes to work tracking incoming storm events 48 hours out, alerting and preparing our team in advance so your property and parking lots will be clear and safe for you're, employees, or your tenants and those that visit your site. Keeping walkways and sidewalks clear from ice and snow insures safe passage for both you the homeowner, employees and visitors. 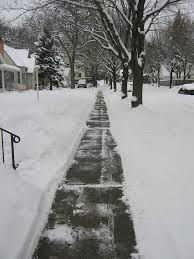 Yard Barber Lawn Service LLC works during snow storms to keep your sidewalks clear and safe, scheduling return visits when storm systems stagnate and continually dump snow and freezing rain. 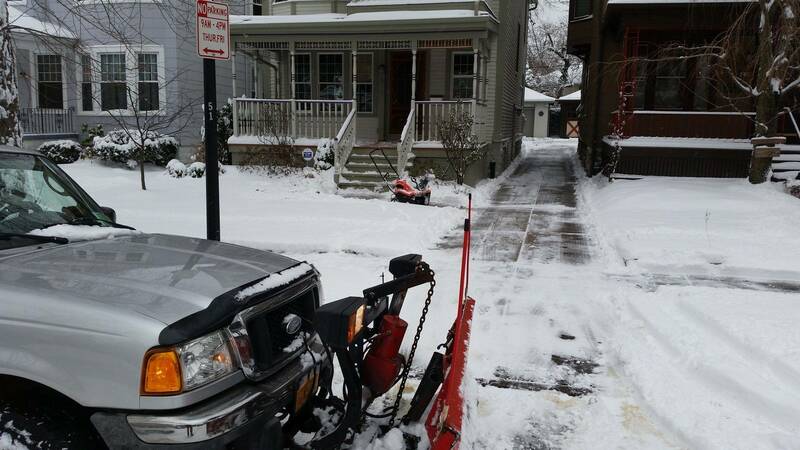 Our team has the manpower and tools for cleaning snow from sidewalks. 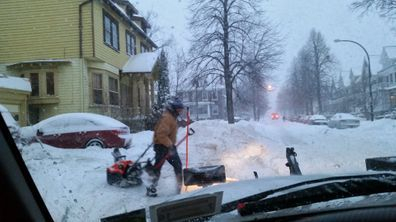 Armed with snow blowers our crews get the job done in an efficient and timely manner. We offer deicing services applicable to your properties/home. 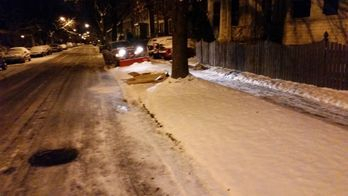 We realize you need to keep those walkways and sidewalks safe and accessible for the duration of the storm and beyond.